Sede legale: MI -ATTIVITA' FIDUCIARIA, L'ORGANIZZAZIONE E LA REVISIONE CONTABILE DI AZIENDE. 2-QUADRIVIO SOCIETA' DI GESTIONE DEL RISPARMIO S.P.A. IN FORMA ABBREVIATA QUADRIVIO SGR S.P.A.
3-VALORE REALE SOCIETA' PER AZIONI - SOCIETA' DI GESTIONE DEL RISPARMIO IN FORMA ABBREVIATA "VALORE REALE S.G.R. S.P.A.
4-21 PARTNERS SOCIETA' DI GESTIONE DEL RISPARMIO S.P.A. O, IN FORMA ABBREVIATA, 21 PARTNERS SGR S.P.A.
Sede legale: TV -SERVIZI DI GESTIONE DEL RISPARMIO, IN SPECIE, GESTIONE DI FONDI COMUNI DI INVESTIMENTO MOBILIARE CHIUSI RISERVATI A INVESTITORI ISTITUZIONALI DAL 01/04/2004. 5-ACCADEMIA SOCIETA' DI GESTIONE DEL RISPARMIO S.P.A. BREVEMENTE CHIAMATA "ACCADEMIA S.G.R. S.P.A."
7-AEDES BPM REAL ESTATE SGR S.P.A.
8-"AEDES VALUE ADDED SOCIETA' DI GESTIONE DEL RISPARMIO PER AZIONI"IN FORMA ABBREVIATA "AEDES VALUE ADDED S.G.R.P.A." OVVERO ""A.V.A. S.G.R.S.P.A." Sede legale: MI -LA PRESTAZIONE DEL SERVIZIO DI GESTIONE COLLETTIVA DEL RISPARMIO REALIZZATA ATTRAVERSO L'ISTITUZIONE E L'ORGANIZZAZIONE ESCLUSIVAMENTE DI FONDI COMUNI DI INVESTIMENTO SPECULATIVI. 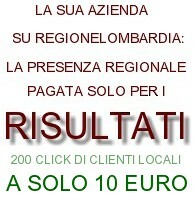 10-AKSIA GROUP - SOCIETA' DI GESTIONE DEL RISPARMIO S.P.A. O IN FORMA ABBREVIATA AKSIA GROUP SGR S.P.A.